The Board of Directors of the Ancient Oaks Foundation, is pleased to announce the March 1 appointment of Claire Slattery as their new Executive Director. Ms. Slattery will be assuming responsibility for day to day operations as well as marketing, public relations and fundraising for Lake Zurich’s only local conservation organization. 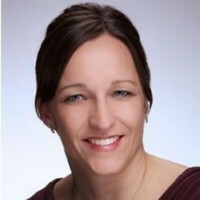 As the owner of Mindful Mix, a Lake Zurich based full service marketing company, Ms. Slattery joins us with over 22 years of marketing experience. As Past President of the Lake Zurich Area Chamber of Commerce, she has deep knowledge of the local economy and will bring added depth to the Ancient Oaks Foundation’s mission of preserving local natural areas through education, volunteerism, supportive funding and long-term planning. She will also lead with experiences she has had serving as a Director on various local non-profits Boards such as the District 95 Educational Foundation, the American Marketing Association – Chicago Chapter, and the May Whitney Parent Teacher Organization.